From the moment you pass your driving test, you’re super excited to purchase and finally drive your very own car. Buying a car is one of those fun activities we get to do as adults and it is a great way to gain some independence in the world. However, when we do buy a car, there are lots of costs we need to consider. Before you take the leap in the coming year, here is a list of some of the things to consider in the cost of a new car. Of course, the main cost of a car is the car itself, and depending on the model you decide to go for it can be a reasonable or a hefty affair. Most of the time for first-time drivers you will be looking at a 1.2 or 1.4L engine so this shouldn’t be too costly. But it is still something to be aware of and you should definitely take the time to research the car you want to buy and make sure it will be the best deal for you. Car insurance is likely the thing which you are least looking forward to when it comes to buying a car, and the prices for this can easily trump what you pay for the vehicle itself. When you are looking at cars make sure to make a test insurance policy to see what sort of price you are looking at. You can use https://cheapautoinsurance.co/ to get the best deal you can and just make sure you are able to afford the monthly payments when they come. One of the things which most people don’t think about when they buy a car is how expensive the repairs would be, and this can be something which trips a lot of people up. To make sure you don’t overpay for parts, try to avoid buying from companies such as Audi right away because their parts are incredibly expensive to replace. Stick to a cheaper brand for now and save up for another model when you are ready. A new color? Tinted windows? A stereo system? All of these little things will add up and you need to make sure that modifications to a cheap or an old car are worth doing before you go ahead. When it comes to adding things to your car you need to make sure it is worth spending the money if you aren’t keeping this car for too long. The biggest every day cost you will have as a motorist is fuel, and every day the fuel costs are rising which can put a strain on us as we live our lives. The good news is that we can choose certain types of fuel to better suit our cars, and certain fuel stations such as the ones at Costco have better grade fuel which will allow you to drive further for your buck. Make sure to try and choose a fairly fuel-efficient car because this will save you a ton of money in the future. Being an adult means weighing all the options for any purchase, especially big ones like the cost of a new car. 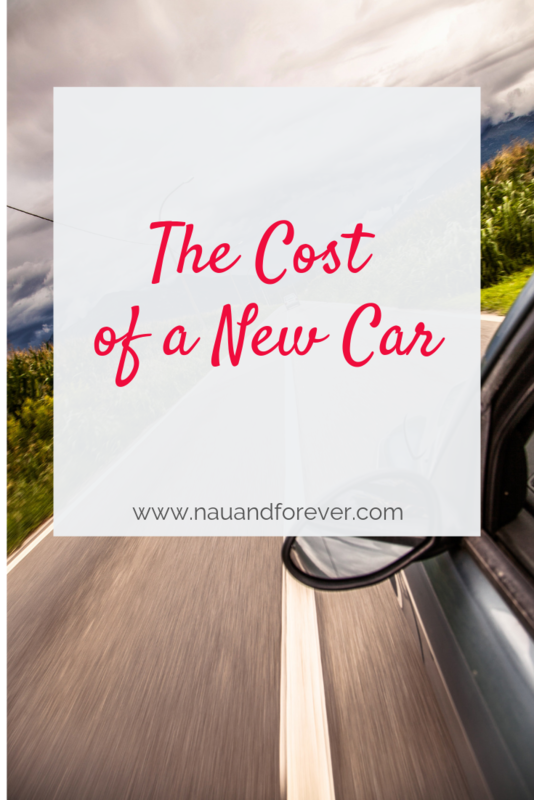 Depending upon your budget, you may be better off keeping the car you have for a while longer and start a “new car” fund so you can pay as much as you can in cash.